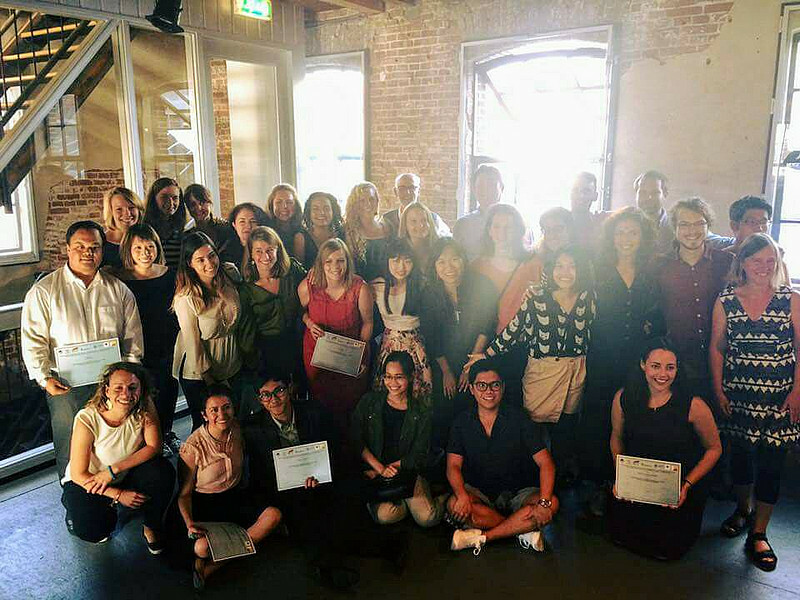 On August, 18 and 19, 2017, the EU educational project Erasmus Mundus Master’s Programme in Industrial Ecology – MIND was seen off in a remarkable closing ceremony in Leiden (the Netherlands). Many MIND lecturers as well as 35 students and graduates participated with their families and friends in this special event. After seven years and five generations, the consortium of the MIND programme (University of Graz, Chalmers University of Technology, Delft University of Technology/Leiden University, Asian Institute of Technology, Rochester Institute of Technology and Waseda University) can look back on a success story. In 2011/12, after a successful proposal in 2010, the first MIND students were welcome to the European partner institutions. Seven years and 78 students later, MIND students and graduates as well as lecturer indulged in memories and shared anecdotes at the closing ceremony. In the frame of the diversified programme of the event, students and graduates had the opportunity to prove their know-how at a shortened version of a summer school. Moreover, the four invited keynote speakers Thomas Mason, Jan Jongert, Davick Peck und René Kleijn talked about various aspects of Industrial Ecology. At a graduation ceremony, students of the last MIND generation presented their master theses and were congratulated on the successful completion of their master studies. In a very emotional speech the three key players of the MIND programme Dr. Ralf Aschemann (academic coordinator, University of Graz), Dr. Ester van der Voet (Leiden University) and Dr. Ulrika Lundqvist (Chalmers University of Technology) were honored for their engagement throughout the years. The objective of the project and its content continue in master programmes offered by the partner universities at present, e.g. the “International Master’s Programme in Industrial Ecology” at the University of Graz.